It’s fashion week in New York City, and both the fashion looks and the clothes and makeup looks for fall 2014 are simply smoldering! 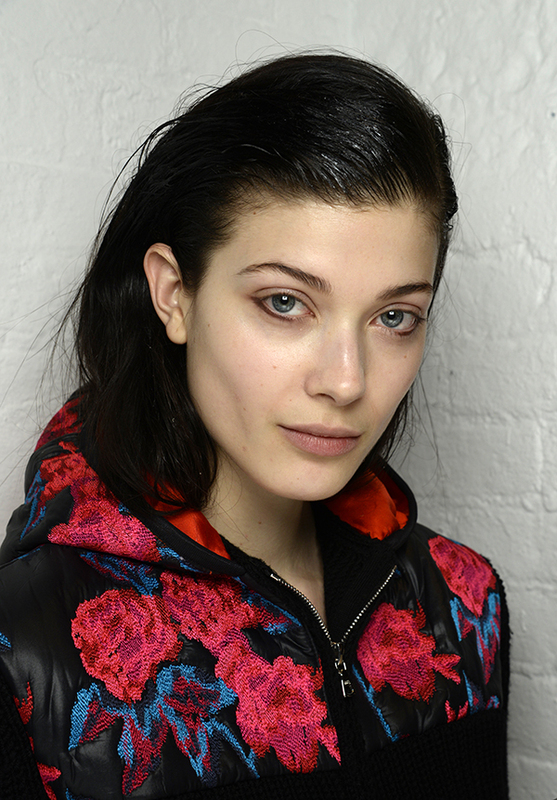 The cool makeup looks from Thakoon are especially inspiring. “This is the pacific northwestern girl coming to the city to see the sights and visit museums – natural beauty with an odd artsy twist,” NARS lead artist for the show, Diane Kendal explained of the look. Get a full break-down of the look right here, straight off the runway! To create the model’s perfect glowing complexion, the NARS team prepped the skin with NARSskin Luminous Moisture Cream. They then started with the Sheer Glow Foundation, covered up spots with the Radiant Creamy Concealer and set the style with Light Reflecting Setting Powder – Loose. If you can sense a trend here, it’s all about the glow! On the cheeks, the team used the Copacabana Illuminator, which added to the intensity of the sheen and really defined the cheekbones. The real standout feature of this look is the dramatic under-eye liner, which is really graphic and edgy but still wearable in real life. The team used the NARA Mambo Eyeliner Pencil, and followed up with the chocolatey brown color in the Dolomites Duo Eyeshadow — the set is new specifically for the Fall 2014 collection, but if you’re eager to re-create the look before it launches, the brand recommends the shade of Bengali Single Eyeshadow. The models went without mascara for a more striking eye style, but if you’re intimated by the prospect, try a lash tint that will define your lashes without making them stand out for being long and spider-y! Looks like everything is done in dark colors at the fashion week this season.